Only One Week to go until Farnborough International Airshow! 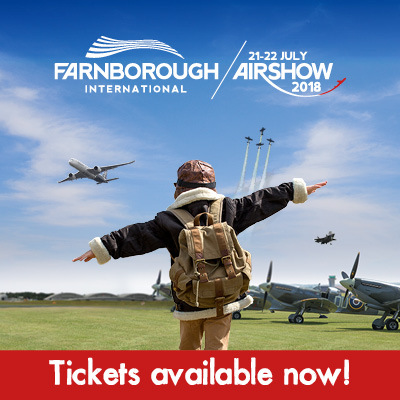 At SEE tickets, we have an exclusive preview to the Farnborough International Airshow – which is just one week away! The Airshow is a must book, as they have some amazing show highlights! You’ll be spoilt for choice, but here are some of our favourite parts of the show you’ll love. Get all spacey. The Space Zone will have a host of fun and interactive exhibits from leading aerospace businesses. With an emphasis on space and pioneering technology, the Zone will feature live shows, seminars and is the perfect education experience for all! Travel into the future. The Innovation Zone is set to inspire with feature displays and demonstrations from industry academia and STEM organisations. Major aerospace exhibitors will also be showcasing their latest innovations. With a 5-hour air display including a Red Bull Air Race Demo, site entertainment, lots to see and static aircraft to explore, Farnborough has a highlight for everyone. With only one week to go, don’t miss out! Tickets on sale now.